Model: CUBE (10->). Potencia: CUBE. Tipo de articulo: PILOTO TRASERO Derecho. Características principales: sin portalámparas Blanco Rojo. En algunos casos, podemos organizar la recogida por nuestra parte del artículo. Model: CUBE (10->). Potencia: CUBE. Tipo de articulo: PILOTO TRASERO Izquierdo. Características principales: sin portalámparas Blanco Rojo. En algunos casos, podemos organizar la recogida por nuestra parte del artículo. 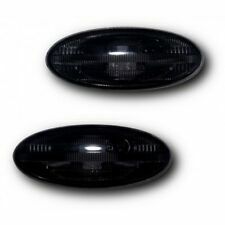 CRYSTAL BLACK side repeaters to fit: Nissan Cube 2010-2013, Note 2009-, Qashqai 2010-, Duke, X-Trail 01-07. Lexus-style and styling lighting; headlights; tail light, indicators, side repeaters & more. ANTIBROUILLARD AVANT GAUCHE CONDUCTEUR NISSAN CUBE TYPE Z12 A PARTIR DE 09/2007. Antibrouillard avant coté conducteur (coté gauche). • Un antibrouillard avant coté conducteur (coté gauche). • NISSAN MURANO Type Z51 à partir de 11/2007-UP. Part number:NIS002. 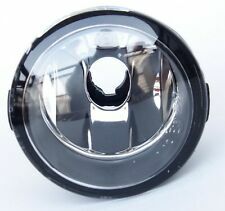 FITS NISSAN CUBE / JUKE / MURANO / NV200 / X-TRAIL FOG LAMP H8 LH/RH. Suitable for: FITSNISSAN CUBE / JUKE / MURANO / NV200 / X-TRAIL. Bison Parts cannot accept liability for any inaccurate or subsequent changes to the information provided. ANTINIEBLA DELANTERO IZQUIERDO CONDUCTOR NISSAN CUBE Z12 DE TIPO DEL 09/2007. Antiniebla delantera lado de conductor (lado izquierdo). • NISSAN MURANO Z51 tipo desde 11/2007. • NISSAN JUKE tipo F15 06/2010 a 06/2014. 1 Pair O/S & N/S Fog Light. Need your item within 24 hours?. We will always try to find your sale but if we have no information it's like finding a needle in a haystack! We are happy to help you with this process. Passenger Side N/S Fog Light. Need your item within 24 hours?. We are happy to help you with this process. Original Part Number: 0. We will always try to find your sale but if we have no information it's like finding a needle in a haystack! ANTINIEBLA DERECHO ACOMPAÑANTE NISSAN CUBE Z12 DE TIPO DEL 09/2007. Antiniebla delantera de lado del pasajero (lado derecho). • Una pasajero laterales delanteras de la niebla (lado derecho). • NISSAN MURANO Z51 tipo desde 11/2007. ANTIBROUILLARD AVANT DROIT PASSAGER NISSAN CUBE TYPE Z12 A PARTIR DE 09/2007. Antibrouillard avant coté passager (coté droit). • Un antibrouillard avant coté passager (coté droit). • NISSAN MURANO Type Z51 à partir de 11/2007-UP. ANTIBROUILLARD AVANT GAUCHE DROIT NISSAN CUBE TYPE Z12 A PARTIR DE 09/2007. Une paire antibrouillards avant coté passager conducteur (droit gauche). • NISSAN MURANO Type Z51 à partir de 11/2007-UP. 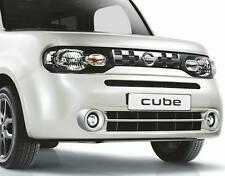 NISSAN CUBE '10> FARO IZQUIERDO. GRAN BRETAÑA: BT, JE, ZE. PORTUGAL: MADEIRA, AZORES (9000-9399, 9400-9999). FRANCIA: CÓRCEGA (20000-20999). NIEBLA ANTES DE IZQUIERDA DERECHA NISSAN CUBE Z12 DE TIPO DEL 09/2007. Un par de niebla delantero pasajero laterales conductor (derecho izquierdo). • NISSAN JUKE tipo F15 06/2010 a 06/2014. • NISSAN MURANO Z51 tipo desde 11/2007. Para 2009-2014 Nissan Cube cabeza luz faros lámpara par LH RH conductor pasajero. 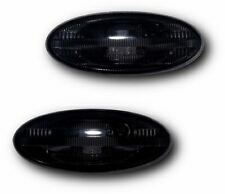 Application 2009-2014 Nissan Cube Head Light Pair LH RH. Luz trasera. Interchange Part Number NI2503192 NI2502192. LÁMPARA DE COLA NISSAN CUBE 2010 > SINIESTRO. GRAN BRETAÑA: BT, JE, ZE. PORTUGAL: MADEIRA, AZORES (9000-9399, 9400-9999). FRANCIA: CÓRCEGA (20000-20999). We are Breaking a 2007 Nissan Note SVE E11 (Pre-facelift). Wing Mirror Type. Paint Colour. Screws, nuts and bolts are also classed as a free gift if included. Right / Left Hand Drive. All parts are used but fully tested and in full working order before removal. Para Nissan Cube 2010-2016 viga lateral/bajo/alto 501 H4 H4 Xenon bombillas. Estaremos encantados de encontrar las piezas correctas para usted. 2 x 501, 4xH4 = 6. Fitting type 501 (W5W), H4 (472). Model Cube. Ajustes: Nissan Cube de 09-12 11-12 Nissan Juke, Nissan Murano 09-12, 11-12 Nissan Quest, 11-13 Nissan Rouge, 12 07 Nissan Versa. Lente y HID Color: claro 3000K amarillo rayo de luz. Tenga en cuenta que el color del mismo valor de K puede ser diferente de un vendedor a otro. Ajustes: Nissan Cube de 09-12 11-12 Nissan Juke, Nissan Murano 09-12, 11-12 Nissan Quest, 11-13 Nissan Rouge, 12 07 Nissan Versa. Lente y HID Color: claro blanco de 6000 K luz de la viga. Faros antiniebla.